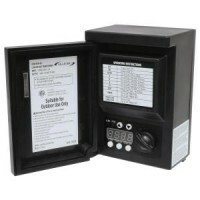 Product replaced by: LED-FG1021-BK - Get more info here! 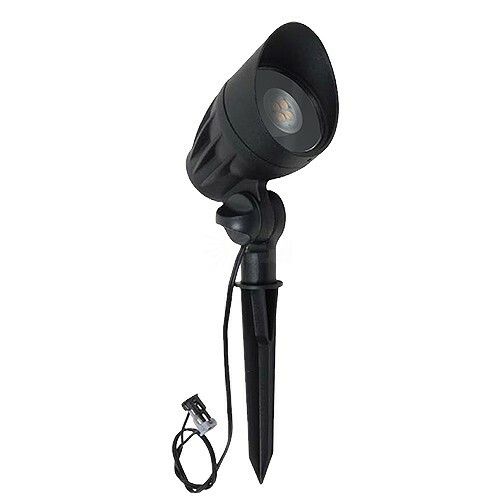 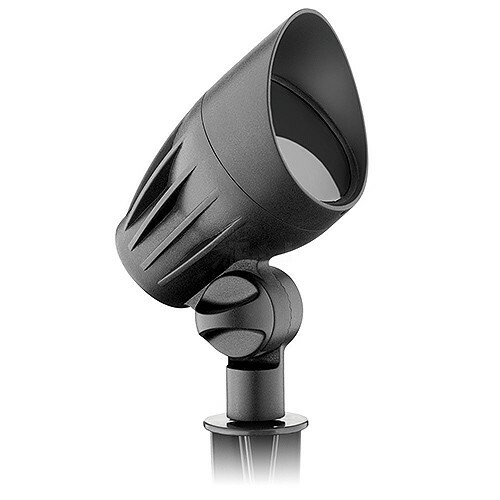 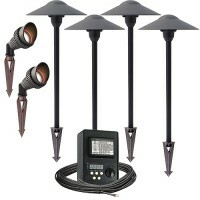 Outdoor Malibu LED landscape lighting 8301-9601-01 4watt low voltage 20watt equivalent die-cast aluminum directional flood light in black, pleasing and accepting 3000K warm white light (very natural not the white-white one). 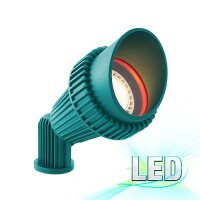 Includes plastic stake, fast lock connector and upgraded with removable and replaceable LED module. 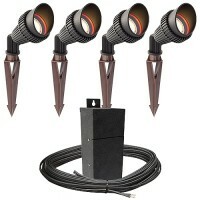 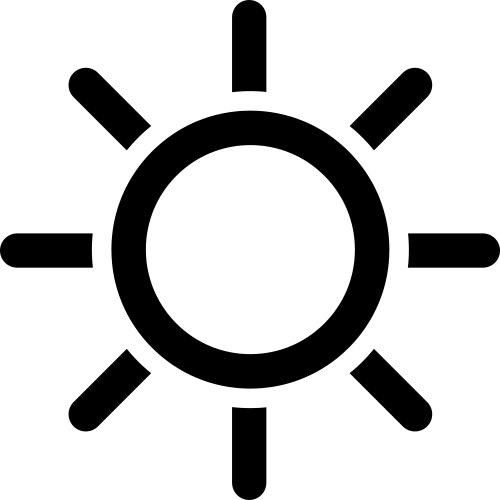 Beam pattern is a circle of light 5' in diameter at 5' away. 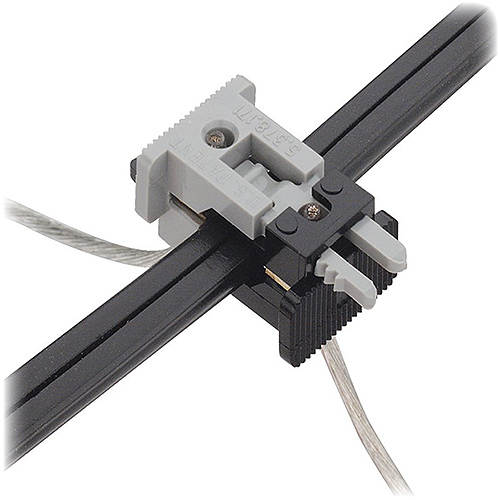 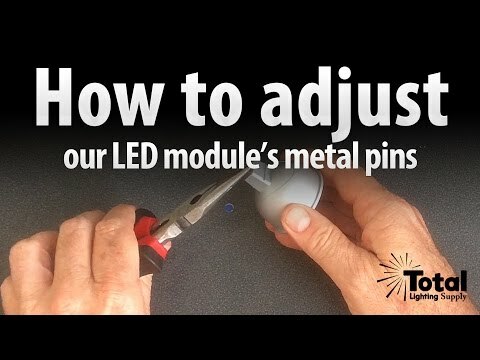 Removable popular LED module allows for easy adjustment and design changes when needed or for replacement with a new one in case of premature failure!. 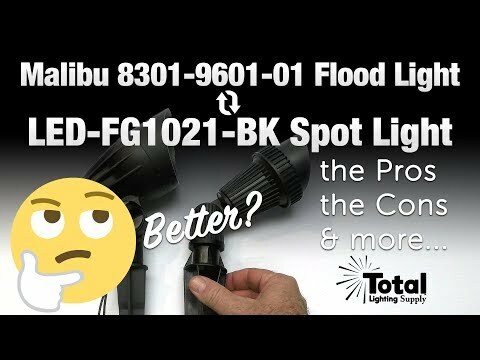 No more tossing the fixture out when the LED goes bad! 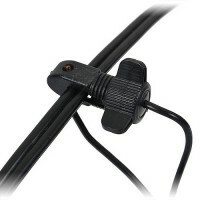 Easy & fast electrical connections are made simple with this included wire connector. 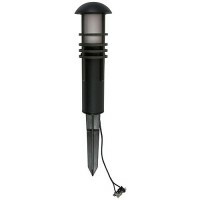 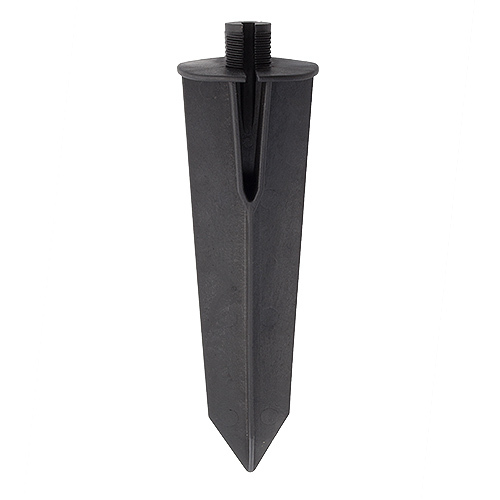 Genuine Malibu 5309-9108-J6 split male stake comes standard with this fixture.